First and foremost you need to be sure have the right hiking gear to keep yourself dry. You need a good rain jacket, rain pants and good hiking boots. These items will help you fend off the worst that the elements have to throw at you, keeping you as dry as possible in the process. However, after you’ve taken care of yourself, you then need to be sure to keep any stuff you are carrying with you dry. Generally speaking you should always have a day pack with you on the trail. Ideally your pack should have a waterproof cover built into it. This is normally stored in a pocket at the base or top of the pack. If you don’t have a built in waterproof cover as part of your pack, you can buy a waterproof rain cover for your pack separately. These are all good but they are only so effective though. It is advisable to go that bit further and protect specific items by giving them a further layer of waterproof protection. The next line of defense should be to put items into bin liners or dry bags. A good bin liner inside your pack is a really effective way of keeping rain and wet off of stuff you want to keep dry, as are dry bags. Normally I use both bin liners and dry bags to add extra layers of waterproof protection inside my pack. For certain smaller items, say things like my mobile phone, wallet, keys and that type of thing, small dry bags are also my preference and are very effective. However, if you’re on a tight budget or just getting started on the trail, all is not lost! 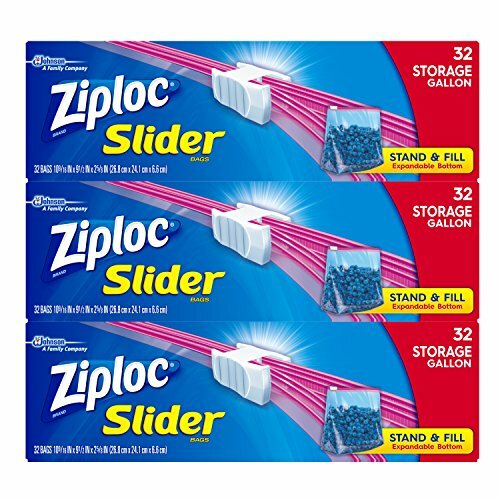 It’s pretty easy to make a very economical version of your own dry bag for smaller items by using Ziploc food storage bags. As you know, Ziploc bags come in varying sizes and are quite handy to use. Simply pop the piece of kit you want to protect from the rain into the Ziploc bag, zip it up and you’re good to go! Now, I should mention that these won’t be as sturdy or resilient as a purpose built dry bag but for temporarily protecting some of your basic items like a smart phone, it will do just fine. Another handy utilization of the Ziploc bag is as a map case. Map cases are purpose built see through and waterproof cases used to put your map into to protect it so you can check it as you hike in wet weather without getting it wet and soggy. While a laminated map is probably the best way to handle using your map in the rain, the Ziploc bag provides a reasonable level of the waterproof and see through functionality of a map case at a fraction of the price! While the Ziploc bag is a handy thing to use as described above, if you will be hiking longer term you would be wiser to purchase and incorporate dry bags, phone protector and / or a proper map case. Ultimately the purpose built products are much stronger and sturdier than Ziploc bags and will last much longer. However, in saying that bin liners and Ziploc bags still form a key part of my regular hiking kit. If you’re just getting started with hiking, utilizing typical household items like these are an economical way to keep your bits and pieces in good shape in nasty conditions. What’s The Best Way To Dry Wet Hiking Boots? Making The Most Of A Bin Liner! How To Prevent And Treat Foot Blisters On The Trail A Simple Tip To Help Protect Your Rain Jacket While Out On The Trail The Dry Bag – A Perfect Piece of Kit to Keep Your Stuff Dry While Hiking! You are spot on here Colm, I use zip lock bags all the time they are a real winner. Not only a cost effective waterproof item but so versatile. You can even use them to store food stuff and liquid. I have packed dry food ready for cooking with water. I have also used them to poor in soup and freeze. Then pack into by day sack and as lunch time get around the soup has all but melted in time for a nice warming snack when cooked. I think they’re great as well Mark. I use them all the time, they’re handy and so cost effective it’s hard to beat.